Relaxing completely and enjoying the sun is a real treat with the Jaipur Sunlounger, as it has a reclining backrest with four positions to help you find the perfect resting angle. Made of a weather-resistant resin that also boasts a wicker texture, the lounger is durable, elegant, and virtually maintenance free. The lightweight, foldable design makes storage extra convenient. The four reclining positions help you find the perfect angle for ultimate relaxation. 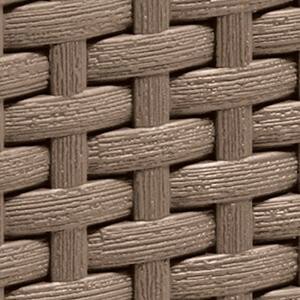 Elegant wicker texture will blend into any outdoor space. The weather-resistant resin material makes the sunlounger virtually maintenance free. Easy to assemble and use right away.